If you suffer from age-related macular degeneration (AMD) you are far from alone – it is the most common cause of vision loss in the over 50s. Left untreated, age-related macular degeneration stops you from seeing in fine detail because it creates a ‘blind spot’ in your central vision. While issues with your sight can be a worry, the latest technology and the expertise here at The Harley Street Eye Clinic, London means that AMD is no longer the burden it was in the past. We can counteract your vision loss, dramatically improving your quality of life, letting you see the faces of your friends and family, read, and enjoy many of the simple pleasures that most of us take for granted. At The Harley Street Eye Clinic we offer the very latest technique for treating age-related macular degeneration. We are one of the only centres worldwide to use CentraSight® technology, the next generation of age-related macular degeneration treatment. Exceptionally, we are also the only clinic in the world to offer this cutting edge option to treat age-related macular degeneration in people who have already had cataract removal surgery. Age-related macular degeneration is a condition that leads to gradual loss of central vision, but leaves peripheral vision unaffected. This means that if you have AMD, you will be able to find your way around and look after yourself most of the time, but you may have difficulty with activities such as reading, watching TV, or using a phone or computer, and will have difficulty recognising peoples faces. 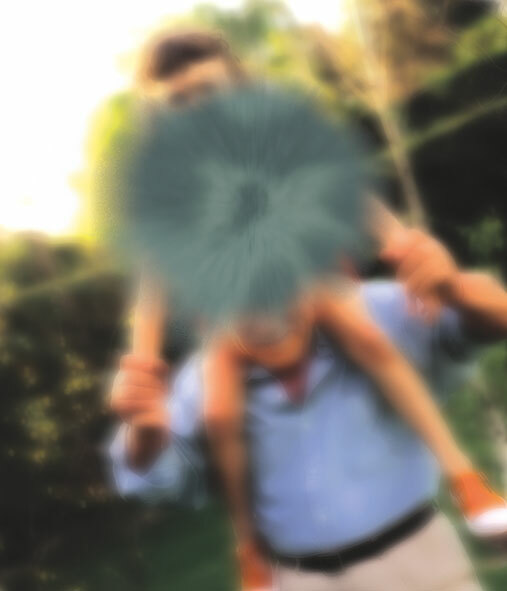 If you experience blurred vision, or sudden loss of vision, or a gradual decline in the clarity of your central vision, and particularly if you have a family history of the condition, you may have age-related macular degeneration. 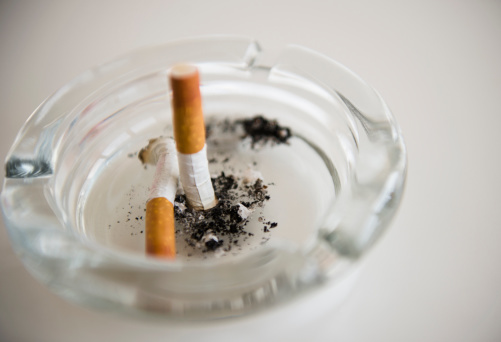 AMD is most common in people over 50, and usually worsens with age. However, this is not always the case, and some relatively young individuals can be diagnosed with the condition. What can The Harley Street Eye Clinic do about age-related macular degeneration? Over the last few years, treatment for AMD has radically improved. Once the only treatment available was medication to slow progression and advice on how to make the most of your remaining sight, for example by using magnifying lenses for reading. But at The Harley Street Eye Clinic, we are one of the only clinics worldwide to offer the most advanced method of treatment for advanced stage AMD – CentraSight. CentraSight is a cutting edge technology that comprises a hand-made, high-precision telescopic lens implanted into one of the affected eyes. 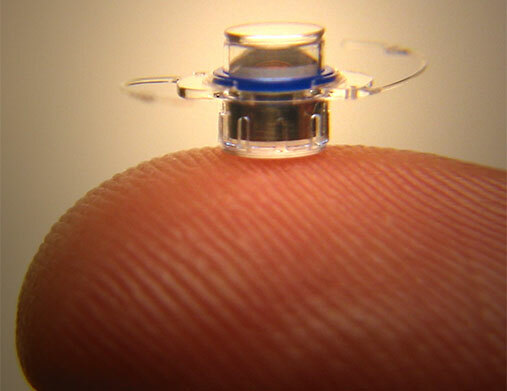 This Implantable Miniature Telescope (IMT) is the first-ever US Food and Drug Administration (FDA)-approved ophthalmic telescope implant. It magnifies the vision in that eye, restoring central vision, vastly improving sight and quality of life. More information on treatment of end-stage age-related macular degeneration with CentraSight can be found here. The Harley Street Eye Clinic is also the only clinic in the world to offer MacularScope Plus, for the treatment of AMD for people who have already undergone surgery for cataract replacement. What symptoms are typical of age-related macular degeneration? What causes age-related macular degeneration and what risk factors are associated with their development? In a healthy eye, light is focussed by the lens onto the retina. The retina is comprised of millions of cells that respond to light allowing you to see the world around you. The macula, found at the centre of the retina contains the highest concentration of cells, and is responsible for central, high-resolution vision. It lets you see colour and fine details although it is smaller than a grain of sand. In an eye with AMD, the cells of the macula start to degenerate. Over time, as more cells die the eye is left with a central blind spot. 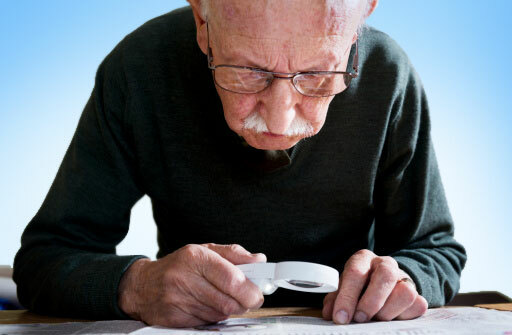 What types of age-related macular degeneration are there? Dry AMD – in this type of AMD that develops slowly, the cells of the macula become damaged as a result of a build-up of waste products called drusen. This build-up causes them to degenerate, leaving a bald patch on the retina that resembles a blank spot in the centre of your vision. Wet AMD – in this less common type of AMD, abnormal blood vessels form underneath the macula causing swelling, bleeding and cell damage that leads to macula scarring. This scarring causes the blind spot. Diagnosis of AMD is based on your clinical history and an examination of the eye. At The Harley Street Eye Clinic, London, we use an Optical Coherence Tomography (OCT) macula scanner, which is the gold standard to match treatment to patient. Using a high magnification, the scanner examines all the retinal layers and this immediately tells us whether you have the wet or dry version of the disease. It will also tell us the extent of disease progression – mild, moderate or severe. Using this information, we can provide a prognosis for your AMD and design the best treatment plan for you. We also carry out a 3D scan of the eye. You can take the image away with you, so you can seek a second opinion if you wish. As well as an eye examination, The Harley Street Eye Clinic can carry out a genetic test. This is not recommended for all patients, because an eye examination is sufficient for a diagnosis, but if you would like to have this done, please ask. The procedure for genetic testing is simple. A mouth swab is taken and sent to a laboratory in the US. This can tell us which gene is causing the AMD. From this we can say whether the condition is mild, moderate or severe, and predict how vision loss will progress over the next decade. This test might be useful because it can provide an indication of lifestyle changes that might slow down progression of your AMD. To discuss the cause and treatment of your condition, please call us on the number below.